Biopsy rates have fallen; but biopsy complication rates have risen! A newly published article in European Urology has raised a new issue that should be of significant concern to urologists (and to their patients) in relation to risks associated with the possibility of diagnosis of prostate cancer. Gershman et al. carried out what they describe as a “quasi-experimental” study based on examination of the administrative claims data for 5.28 million commercially insured men in the USA, aged 40 years or older from 2005 to 2014. More than 104,000 of these men (just under 2 percent) had had a prostate biopsy. Some additional information is available on the ScienceDirect web site. It is well understood that prostate biopsies and the complications associated with prostate biopsy are risks associated with the widespread use of PSA testing for risk of prostate cancer (screening). Gershman et al. set out to do two things. They wanted to be able to see whether the changes in the guidance for use of prostate cancer screening in recent years had affected the rates of prostate biopsy and of complications associated with such biopsies, and they wanted to see if they could use the data to identify predictors for post-biopsy complications. Biopsy rates fell (by 33 percent) from 64.1 per 1,000 person-years in 2008 to 42.8 percent per 1,000 person-years in 2014. There were also reductions (by 8.8 per 1,000 person-years) following the issuance of the revised AUA guidelines on prostate cancer screening in 2013. 30-day biopsy complication rates also fell (by 10 percent) from 8.7 to 7.8 per 100,000 person-months from 2008 to 2014. There was a clear increase in the proportion of men undergoing biopsy who experienced complications (from 14 to 18 percent). This increase appears to have been driven by non-sepsis infectious complications (p < 0.001). Patient age ≥ 70 years (OR = 1.25; p < 0.001). Although there has been an absolute reduction in rates of biopsy and 30-day complications, the relative morbidity of biopsy continues to increase. These observations suggest a need to reduce the morbidity of biopsy. Now one could argue that if, by 2014, urologists were biopsying men who were more likely to have prostate cancer, and they were biopsying far fewer men who were less likely to have prostate cancer, maybe it would have been reasonable to expect the potential for a relative (as opposed to an absolute) increase in the complication rate because the patients would, inevitably, be somewhat sicker and have less well functioning immune systems. However, from a patient perspective, a rising biopsy complication rate is not a good thing at all. It makes the process of having a biopsy riskier, and it therefore might make many men who would benefit from PSA testing and a biopsy less likely to go down this path. The latter should be of particular importance among men with a significant history of fluoroquinolone use (e.g., because of past urinary tract infections). 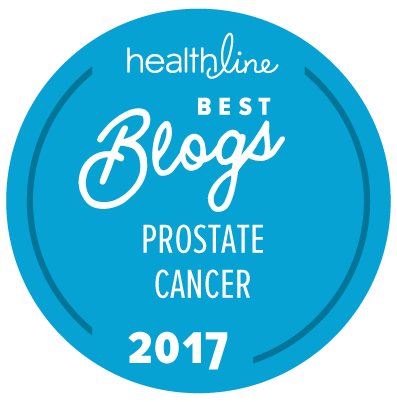 We know that there are techniques available to minimize risk for complications associated with prostate biopsy. It’s high time that there was consistent implementation of these techniques across the urology community. We really should be able to cut the incidence of short-term, biopsy-related complications significantly by now.